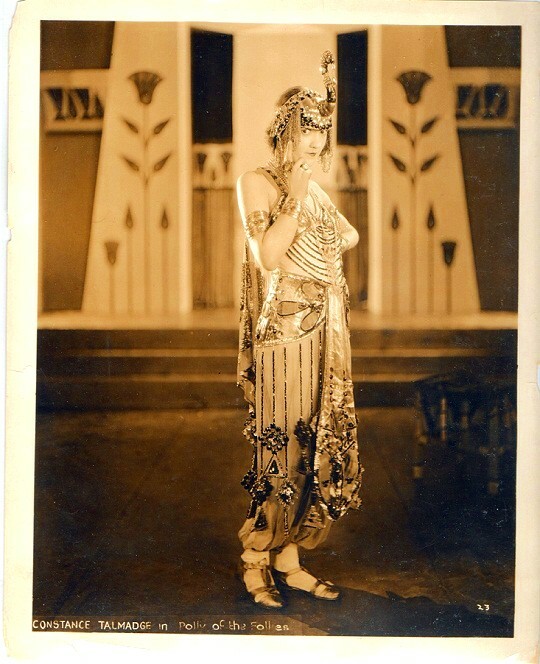 Constance Talmadge is virtually unknown to movie audiences of 2011. Nine decades ago, audiences packed theaters across America with the release of each new movie starring “Connie.” She was regularly among the top box office draws from the late 1910s to the late 1920s. 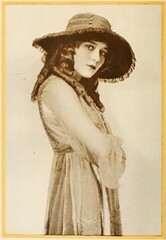 Her sister Norma was considered by many the foremost tragedienne of the American screen and was equally popular. Both left movies in the aftermath of the sonic bomb dropped on America’s film industry, though Norma hung in long enough to make several early sound films before she bailed out for good. Constance Talmadge was among the most versatile performers in silent film, and more than capable of tackling dramatic roles. 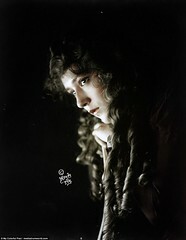 Her first important role came in 1916, as the “Mountain Girl” in D. W. Griffith’s “Intolerance,” a dramatic role in a top-heavy, portentous film. As the Babylonian wannabe-warrior-girl, she brought to the character an effervescent, naive self-confidence and a comedic spark that stood out in bold from the rest of the film. 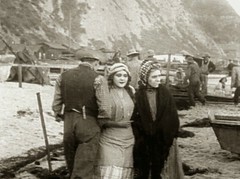 It is an indication of how good she was that Griffith would re-edit her sequences in the film, the “Babylonian” story, and release it separately as “The Mountain Girl” in 1917. And not surprisingly, it is her reputation as a skilled screen comedienne that has come down to us, through ninety years. Sadly, the direct evidence for this reputation, and her legacy to cinema, resides in the handful of her films that survive in the 21st century. 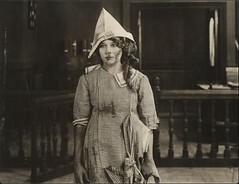 One of her many films that has not survived is “Polly of the Follies,” from 1922 produced by First National Pictures, and directed by John Emerson. It was written by Emerson and Anita Loos, the legendary writer of “Gentlemen Prefer Blondes,” the Broadway musical and source for the 1953 Fox film version; “Red-Headed Woman,” MGM-1932, starring Jean Harlow, (plus four other subsequent Jean Harlow MGM films) and “The Women” MGM’s all-female, all-star hit from 1939. All that is known to survive of “Polly” is its trailer, and we are fortunate to have that trailer restored and part of a compilation produced by Flicker Alley and Turner Classic Movies that premiered as “Fragments,” in 2010, and broadcast by TCM on April 3rd, 2011. 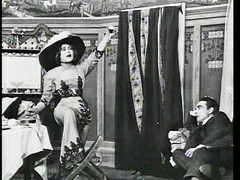 The following images are screen caps of the restored trailer for “Polly of the Follies” from that broadcast, one of many fragments of lost films featured in the compilation. Most are from the silent era, and were restored by the usual (indispensable) suspects: the Museum of Modern Art in New York, the Library of Congress, UCLA School of Film Preservation and George Eastman House. If broadcast again, I highly recommend you watch it. If it becomes available on home video, I urge you to buy it if you are able.